And bottled water on the 'Cigar Terrace' was going to be how much? 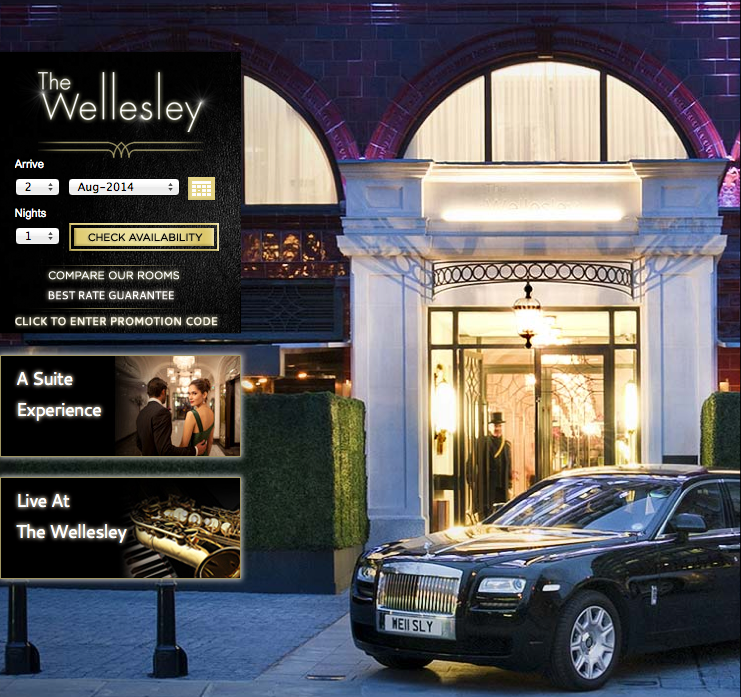 It was the Wellesley, but it could easily have been any one of London's hotels. The Times broke the earth-shattering news that a guest had been charged £75 for three bottles of water at the beginning of the week, and since then some other journalists have piled in with their own 'horror stories'. So why are we blogging about it? Wi-fi: If we see another comparison with Starbucks! Honest answer: 'Either we charge for Wi-fi or we put all our rates up!' 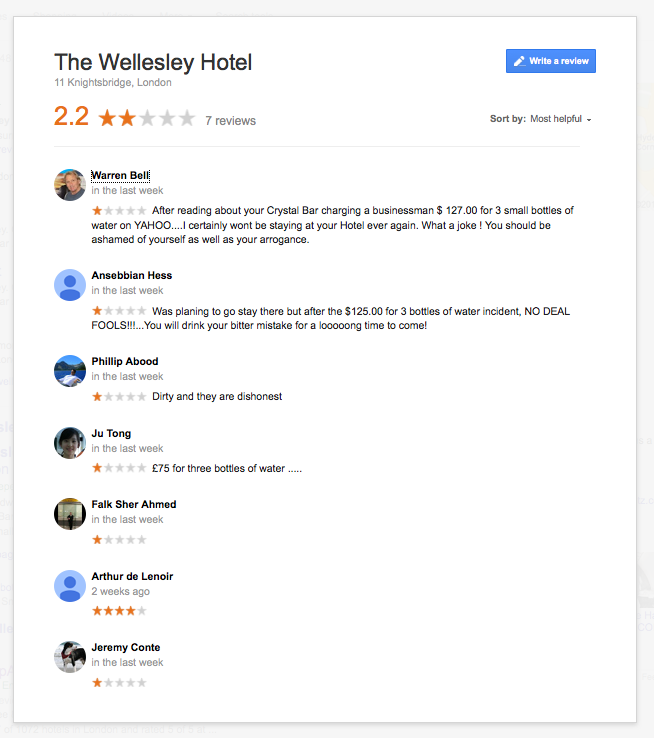 As a response to a review: 'We would love to give all our guests free wi-fi, but this would mean building the overall cost into our room charges. We have spoken to many of our guests about this and the majority are happy to have the lower room cost and to pay for wi-fi if they need it (many have alternative access to the internet on their mobile devices). We know it's not ideal, but it does enable us to provide very good value accommodation by comparison with nearby hotels." Resort fees: 'You booked the wrong hotel.' No, seriously, some people don't read anything about the hotel before they book (often as not through an OTA, based on price alone). This complaint should be dealt with, along with many other price-related complaints, with a polite reference to 'our website' or 'the menu' or 'the notices prominently displayed'. Charitable donations: We think the Telegraph are starting to scratch around here; it's always optional, no-one is forcing anyone to donate. On-demand films: You pay Sky, you pay the hotel, simples! Laundry fees: Whenever was laundry free? We hope this helps; as all our clients know, we are always only a call away, so if you are having trouble responding to criticism in a review, just pick up the phone or email us and we'll make suggestions based on our moderators' extensive experience.